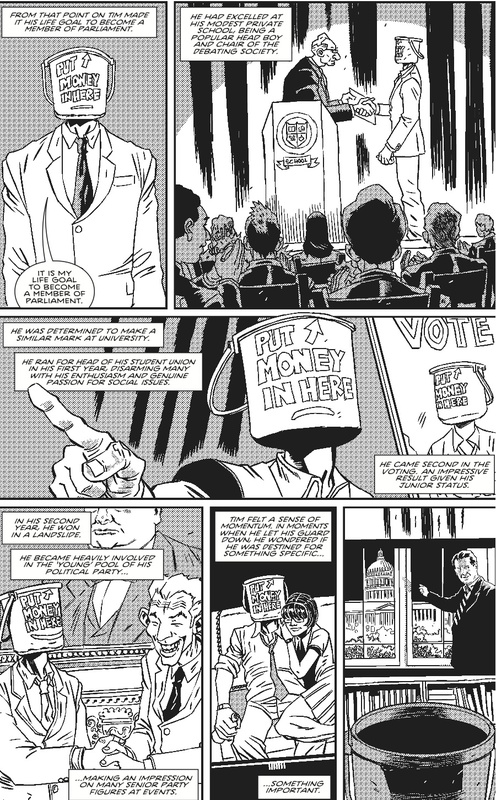 Welcome to CROSS – A Political Satire Anthology. 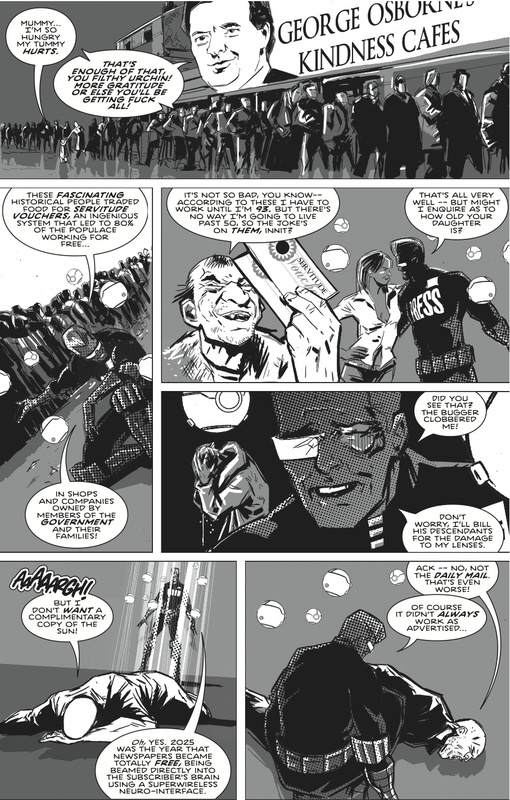 CROSS is a 64 page sideswipe at the establishment, brought to you by some of the finest established and emerging creators on the UK comics scene. 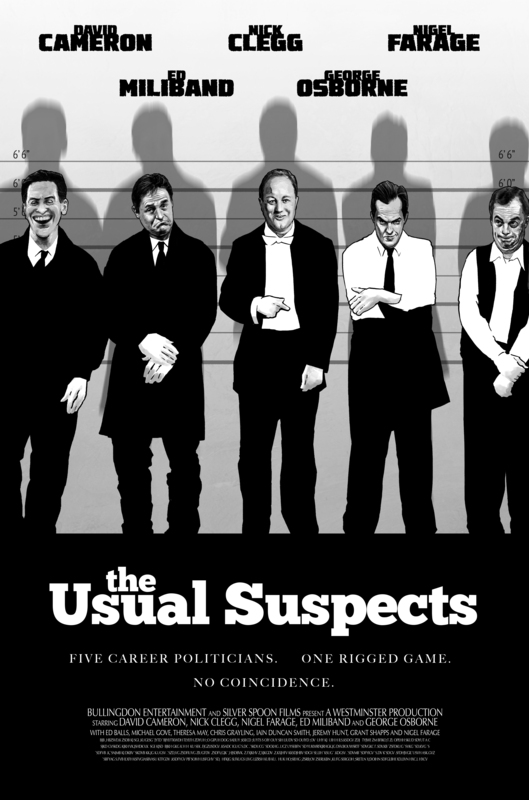 Published in November 2014, it captured the mood and the moment in the run-up to the 2015 General Election. “We should rediscover our tradition of satire. Of speaking truth unto power. Or, at least, blowing raspberries unto it. It’s a question of political will. That’s what we wanted to achieve with CROSS. To order your copy of CROSS for the reduced price of £5 plus P&P, visit our Shop on Comicsy. Rob Williams and PJ Holden: Marvel writer Williams and 2000AD artist Holden track the progress of an earnest and serious young man who is determined to do good in the world by becoming an MP. BRICK: A political cartoonist since the first days of Margaret Thatcher, there isn’t much that BRICK hasn’t illustrated. 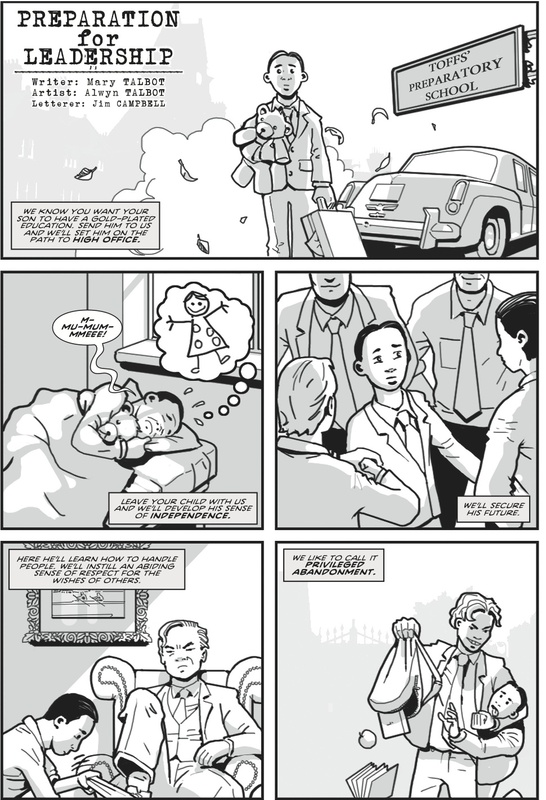 He sets the tone for CROSS with two pages that are equal parts hilarious, poignant and thought-provoking. David Ziggy Greene: a Private Eye regular since 2011, his Scene and Heard reports are comic reportage in action, and we’re delighted to feature his reportage within CROSS. 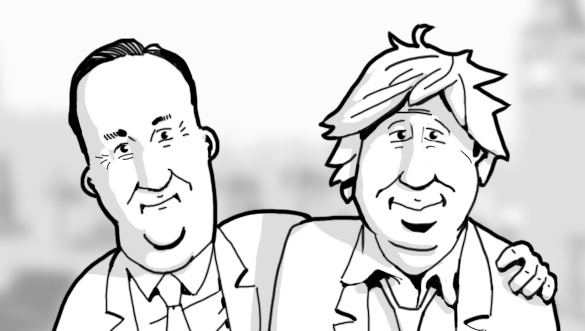 Mary Talbot and Alwyn Talbot: Costa Biography Award winner Mary Talbot brings us the early years of many of our favourite political figures, with some amazing caricatures and a very cute teddy bear provided by artist Alwyn. Emma Beeby and Gavin Mitchell: Judge Dredd writer Emma Beeby and Aces Weekly talent Gavin Mitchell team up to explore the coalition between those old rivals, Heaven and Hell. Owen Johnson and Conor Boyle: British Comic Award nominee Owen Johnson and ACE Award winning artist Conor Boyle turn the camera round to focus on the surveillance society and ask: who watches the watchmen? 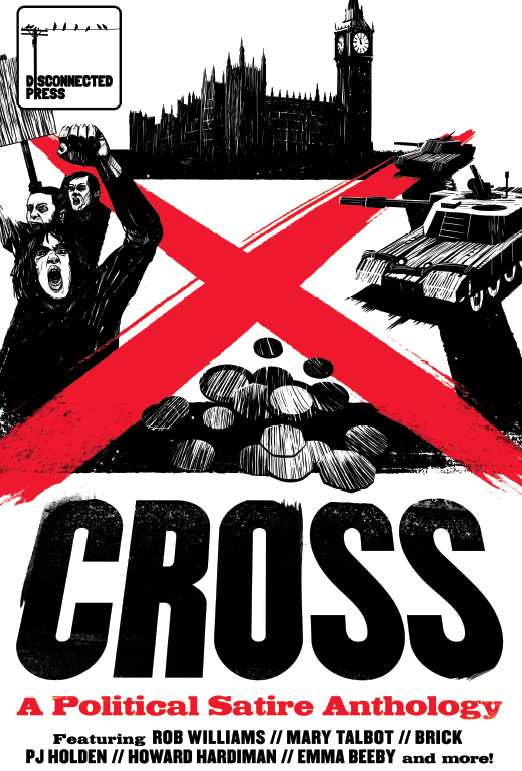 You can buy CROSS for just £5 plus P&P in our Comicsy shop, or by emailing lizzie@disconnectedpress.co.uk. *Comicsy is a trusted independent online platform for the sale of comics in the UK. We’d rather sell you our books through an independent organisation than one of the big behemoths of internet retail. If you’d prefer to order direct from us, please email lizzie@disconnectedpress.co.uk.